Lovely updated 4 bed 2 bath farm home on over 11 acres of flat land that may be dividable. 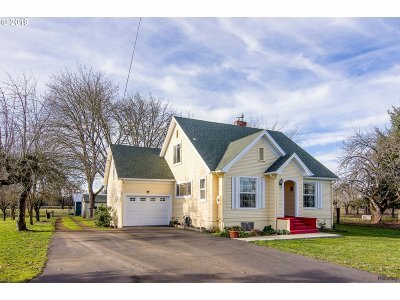 Home sits in Junction City just within 13 miles to the City of Eugene. Hardwood oak floors throughout the main floor. Ductless heating and cooling at the touch of a button. Basement area has it's own entryway. Shop and barn have 220 voltage. Lots of room for those farm animals to roam around freely. Come see for yourself you won't be dissapointed!